How EthosCE provides easy and reliable conference attendance tracking. We are excited to exhibit at the 2017 American Society of Association Executives (ASAE) Annual Meeting and Exposition at Booth 641 on August 12-15 in Toronto, CA. We look forward to demonstrating our latest features and show the how EthosCE LMS continues to provide associations with a “best-in-class” CE experience. In this vein, we want to utilize this post to highlight how our LMS provides the best conference attendance tracking for associations. Without the proper resources, tracking attendance can be a stressful affair that drains energy and consumes time. With all of the moving parts involved in organizing and executing a successful conference, tracking attendance should not be a cause for anxiety. Fortunately, EthosCE LMS provides a wide range of features that make tracking attendance a much more efficient and worry-free process. Here are some of the ways EthosCE can make your association’s conference tracking a much more streamlined experience. Seamless integration: The number one question we receive from associations is: “Do you integrate with our system?” Thanks to our state-of-the-art software, the answer is “Yes.” EthosCE seamlessly integrates with association management systems (AMS). This smooth integration consolidates data such as association members’ learning credits, certificates, conference attendance records, and much more. This integration enables associations to have access to one clear, comprehensive display of all of an association member’s learning history, including their conference attendance. In addition to AMS, we can also integrate with meeting management vendors such as Cvent, EventBrite, RegOnline, and TurningPoint. Expertise with associations’ needs: We have developed strong, formative relationships with major associations over the years. Our expertise has enabled us to successfully address the needs, concerns, challenges, and goals of associations. Thus, it’s no coincidence that 60-70% of our clients are associations. We carefully design our LMS features to provide associations with the tools they need, such as high-quality attendance tracker software, to support both learners and administrators. 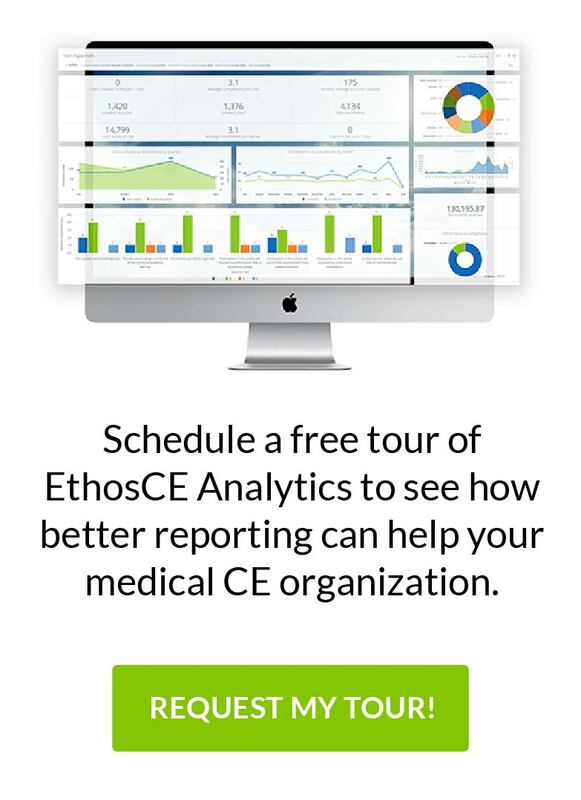 A Variety of tracking methods: EthosCE offers a variety of automated attendance tracking methods so that your association can utilize the most expedient option. Our LMS offers mobile attendance for smartphones and tablets, imports attendees from an Excel spreadsheet, helps associations manually enroll or mark users in attendance, and enables attendees to sign-in through text messaging. With EthosCE, all of these event attendance tracking options are available to your association, so you can finally eliminate those annoying sign-in sheets.